Sometimes less is more, and no wheel accessory does it better than a classic Bullet Center Cap. 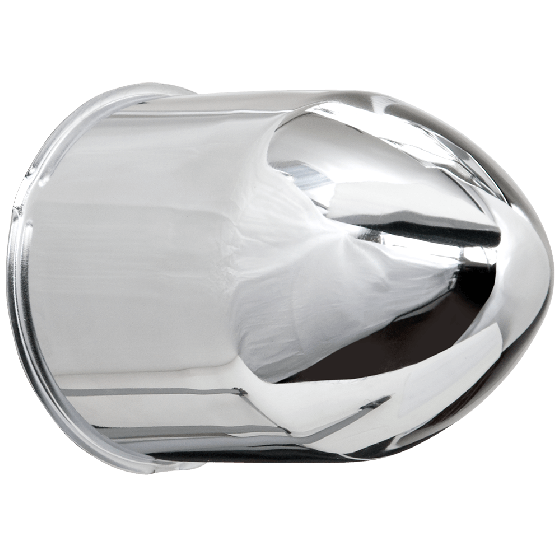 These popular caps add a touch of style and chrome to your steel wheels without being distracting. Hot rod and Custom builders have been using bullet caps for years and the look is timeless. 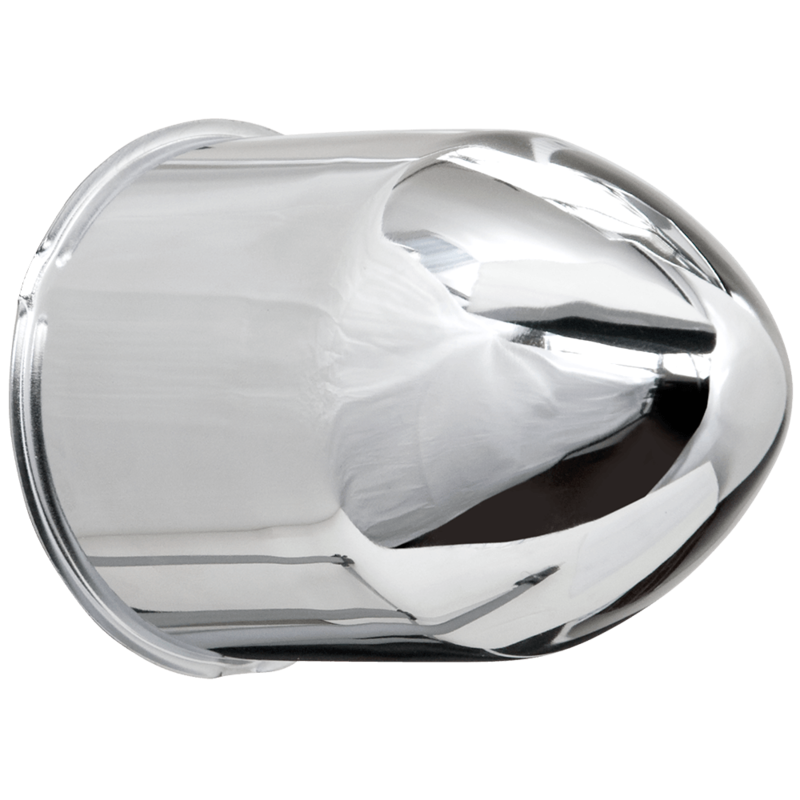 The Bullet Hubcap looks great alone or along with a trim ring for a little more shine on your wheels. FITMENT: Smoothie Wheel, O.E. Ford/Chevy - 14" and 15" only, Bullet Cap Push-through, 3.125 Base 4.25 Tall. Please check your actual wheels for the required cap fitment size. 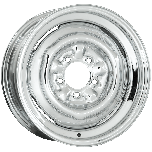 Coker Tire Company offers a huge selection of aftermarket hubcaps and wheels for collector vehicles. Check the center hole diameter of your wheel to determine if it is 3 1/8". If it is, then you should be able to use this cap! the description says OE chevy and ford. Im assuming that means car? 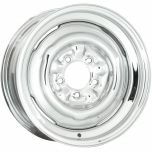 will these fit chevy or ford truck? You may check the center hole diameter of your wheel and the height of hub bearing caps on front in order to determine compatibility with the measurements listed for this cap. 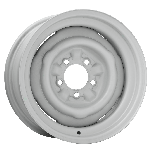 Our caps are built to fit our wheels only and we cannot insure fitment on any other manufactuere's product. The bullet caps we offer atr the Push Thru as seen above, and those found here: Click Here. All measurements are included in the descriptions and specifications tab if you would like to try a cap.